The basis for a great stage rig. 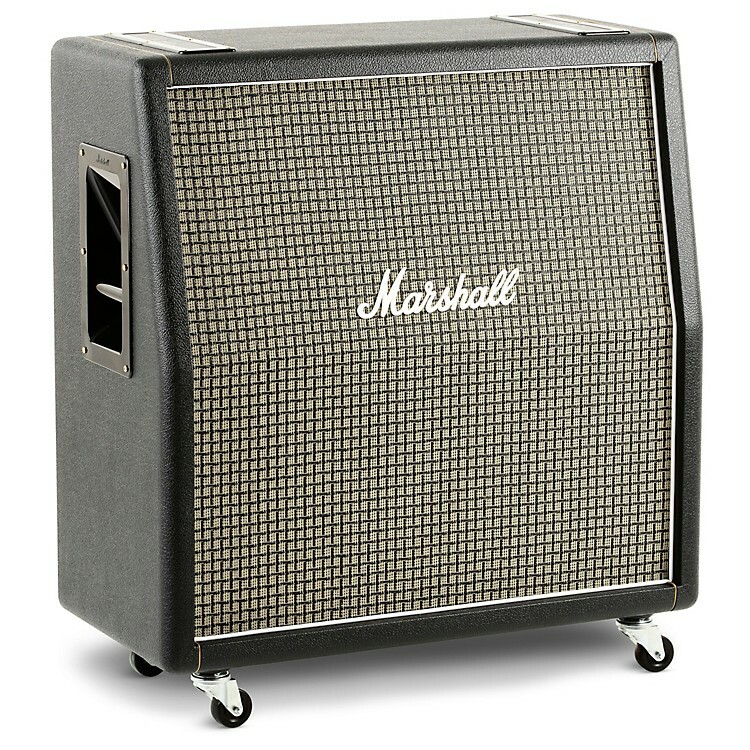 The Marshall 1960X consists of 4 separate birch ply enclosures, each loaded with a Celestion G12M Greenback 12" speaker and has a 100W power handling rating. Tonally this speaker cabinet falls between the 1960A's brightness and the 1960TV's warmth. Greenback G12M speakers have a very distinctive sound with a fast, snappy response that adds detail and dynamics to both clean and distorted playing. The 1960X Extension Cabinet uses the early '70s LC checkered grille cloth and a less-textured vinyl covering. If used as a half stack with a 100W head, a power brake is recommended. Get a start on a super stack. Order today.